The last few days in Mumbai were crazy. It has been dark, damp and rainy all the time. My daughter's school requires a parent to send lunch for the entire class on Wednesdays, and last Wednesday was my turn. I was supposed to send vegetable noodles and fruit for 10 kids. So, on Teusday morning, I bought one and a half dozen apples. A dozen for the school, and the rest for home. As it turned out, on Teusday Mumbai started, slowly, sinking. After the debacle at the end of August, the local government was taking no chances. On late Teusday night, they declared Wednesday a school holiday. So now I was stuck withn lots of apples and no clue, as to, what to do with them. I tried getting the kids to eat them, but in the cold rainy weather, no one was in the mood for so much cold apple. So I started wondering what I could do with them. I came up with a recipe that is warm, mildly sweet, buttery and crunchy. It is perfect for rainy weather, goes great with tea, and most importantly is easy to make in about 10 minutes. So here it is. I'm sure it will be great in winter too. Peel an apple and cut it in to two along the core. Then make long thin slices and cut them in to two. 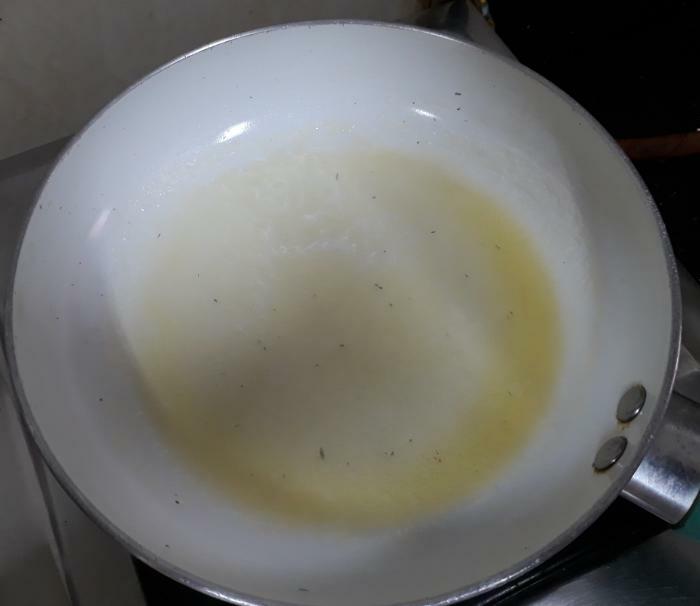 Set a frying pan to heat on the stove and melt some butter. When the butter is fully melted add the apple slices. Stir them for a little while, so all the slices get evenly coated with butter. Then sprinkle the sugar (1 teaspoon is the most you could need. Start with less and you can add more if you need later) and cinnamon powder on top of the apples. Put a lid on the pan and let it cook for a minute or two. 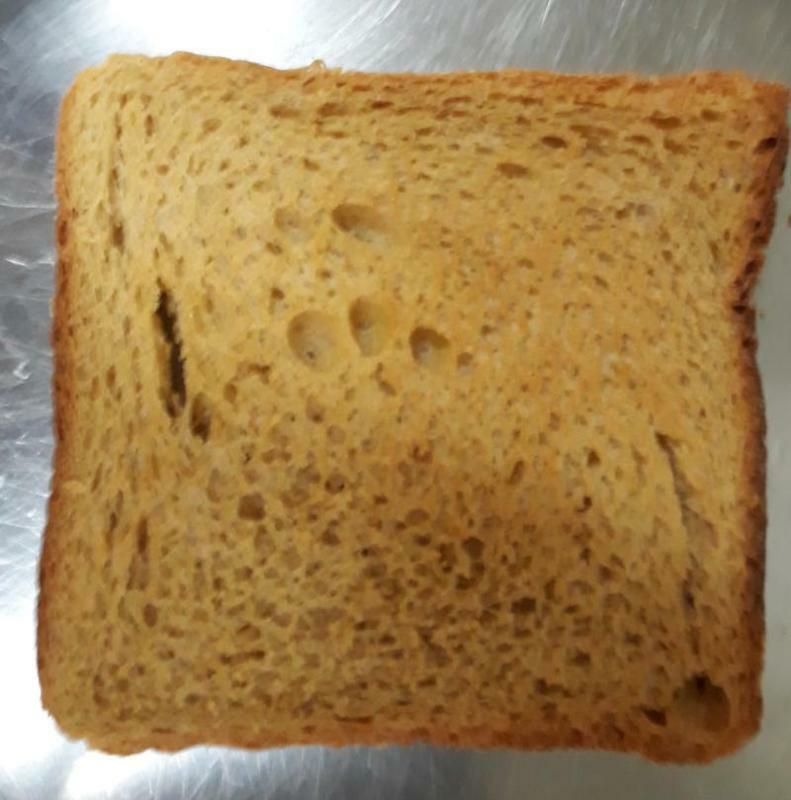 Set two slices of brown bread to toast. 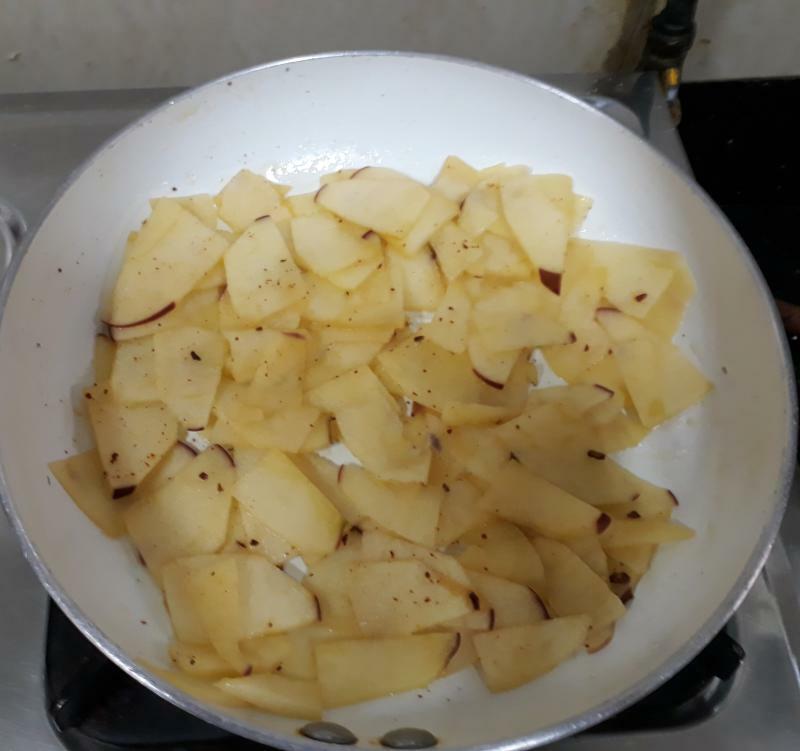 Check on the apples, and stop cooking when they are just a little soft, like in the picture below. 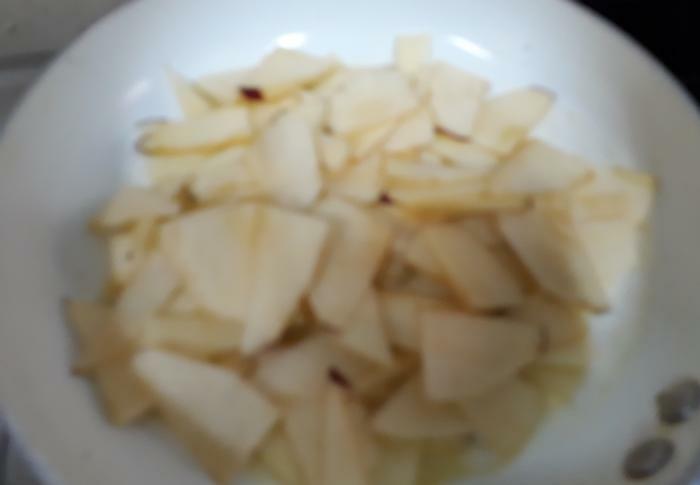 Mix them around with a spatula, so the buttery, sugary, sauce, lightly, coats all the apple peices. Put the toasts on plates. They should be crunchy and slightly brown, like in the picture below. 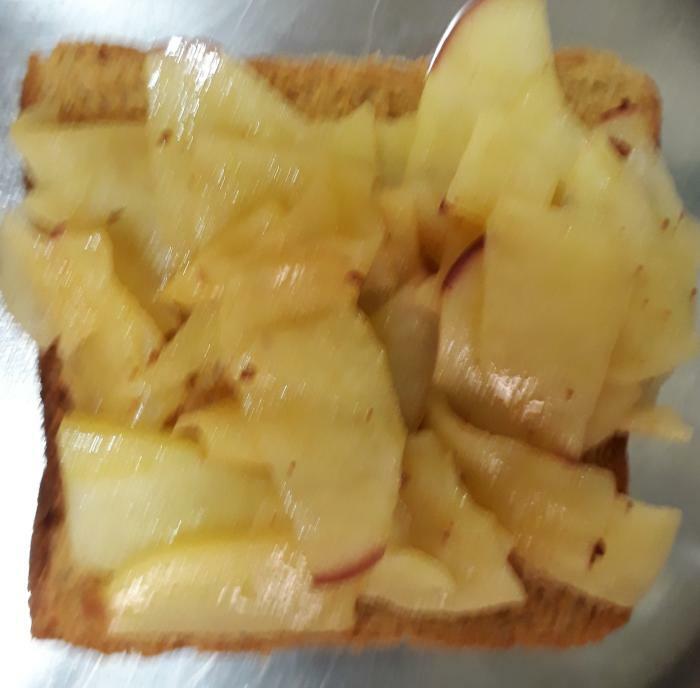 Now put the hot apple preparation on the warm crunchy toast, and your snack is ready. Have it while it is still warm, preferably with tea. Enjoy! My girls love this, both for breakfast, and at tea time. So my apples are disappearing at a great rate, and the cinnamon makes the whole house smell heavenly.